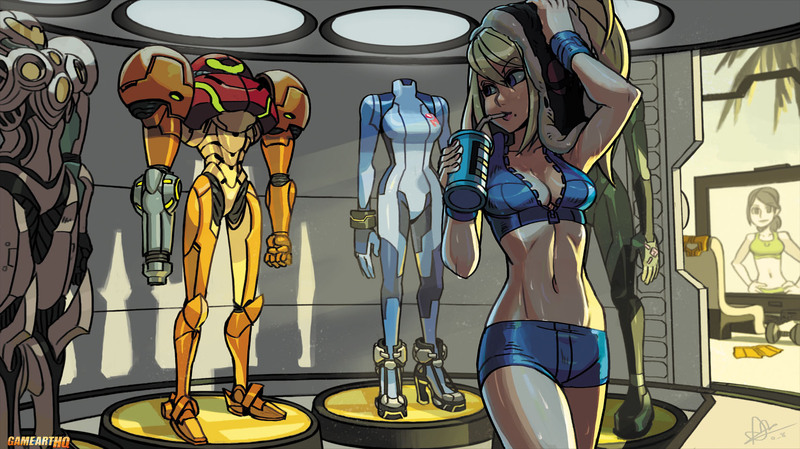 Samus Aran will SMASH you…after she decided what she will wear today…! Looks like Samus Aran is done with her daily exercise with the Wii-Fit Trainer and ready to SMASH her opponents to pieces…after she decided her costumes of course! I find it damn awesome that she got four+ different ones in the new Super Smash Bros. and totally can not wait for this game to come out already..its actually my final reason to get the WiiU. (commercial & charity) art collaboration named the Art of Fighting which is pretty cool already. Its really cool to see that more and more art collaborations with different themes and targets are made now.